On September 23, 2011, the city saw its first food truck rally put together by Tasting Tampa, which had a divsion called Tampa Bay Food Truck Rally, has since branched off into its own entity. Our city has become one of the best cities to start a food truck as rated by the online trade magazine, Mobile Cuisine, in 2013 and only second behind San Antonio, Texas. The rallies bring hundreds of followers making them social hubs for food and fellowship. Each truck has their own unique flare and style of cooking. The list of trucks at events can number from five to more than twenty depending on demand and location. We hold our "How to Start a Food Truck" Seminar every other month for those who are ready to take their meals on the road. Taco Bus has continually ranked among the Nation's premier trucks and visited by the likes of Guy Fieri from Diners, Drive-Ins, and Dives. We are always on the lookout for new happening trucks that are as passionate about food as much as we are, and there are over a hundred food trucks in the area. Luckily, we've eaten from almost all of them, so we're making recommendations based on our own experience. 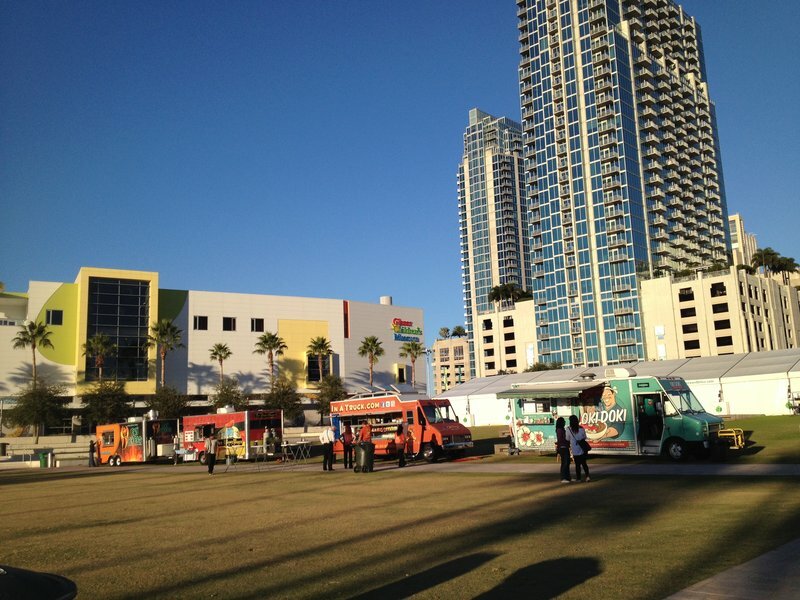 Tampa food trucks have been featured at events in Curtis Hixon Waterfront Park, aboard the SS American Victory Ship, at local schools, charity functions, for every professional sports team in the Bay Area, and churches. Some other words for food trucks are food carts, snack wagons, rolling restaurants, amazing, and the best thing since the Model-T! Do you want to schedule a Tampa food truck?